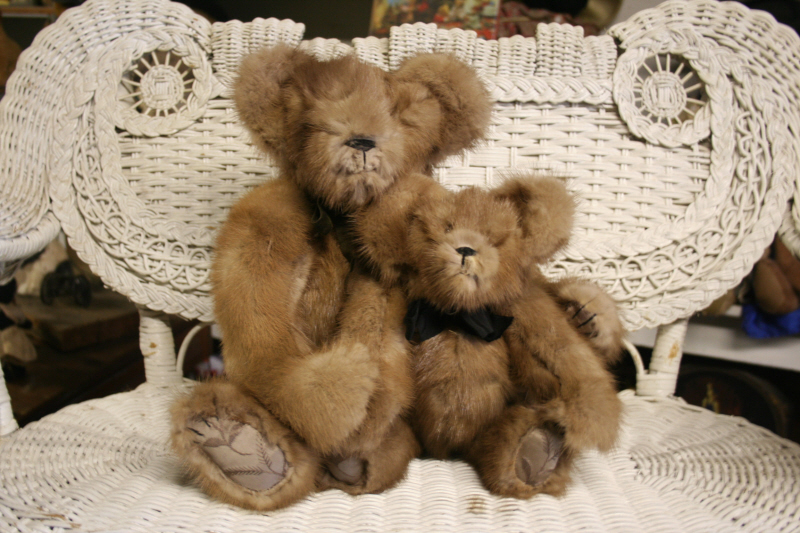 We have made hundreds of custom order teddy bears from people's vintage fur coats and pieces since 1981. Maybe we can do something for you that will give you a heart touch in the years to come. 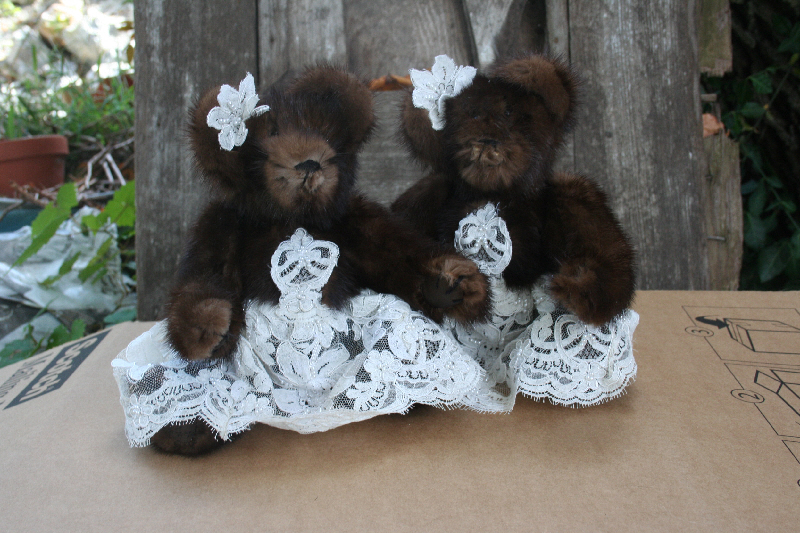 Call or text us us at 417-285-3201 Once you have a custom made Stearnsy Teddy created from something that tugs at your heartstrings you won't be sorry now or in the years to come. 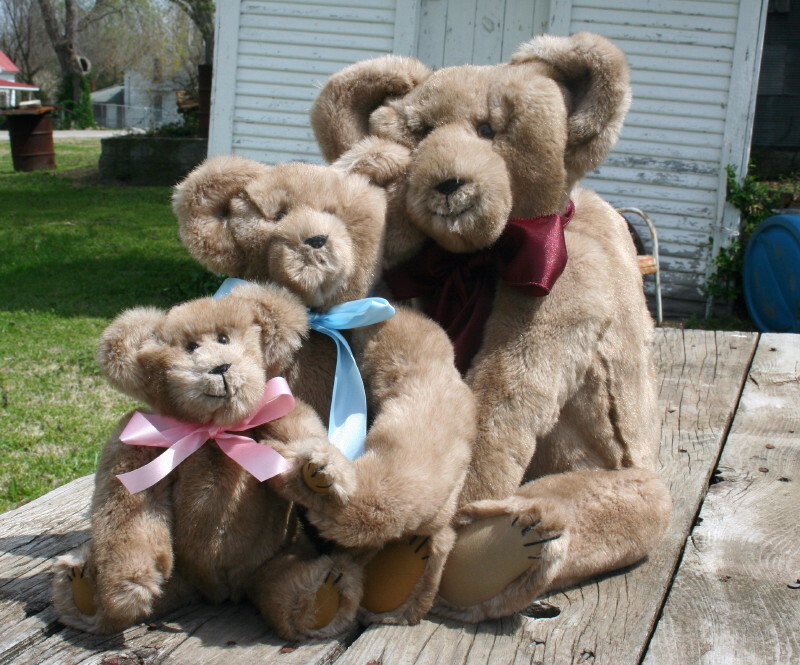 Fur bears available in 12”, 16”, and 22”. 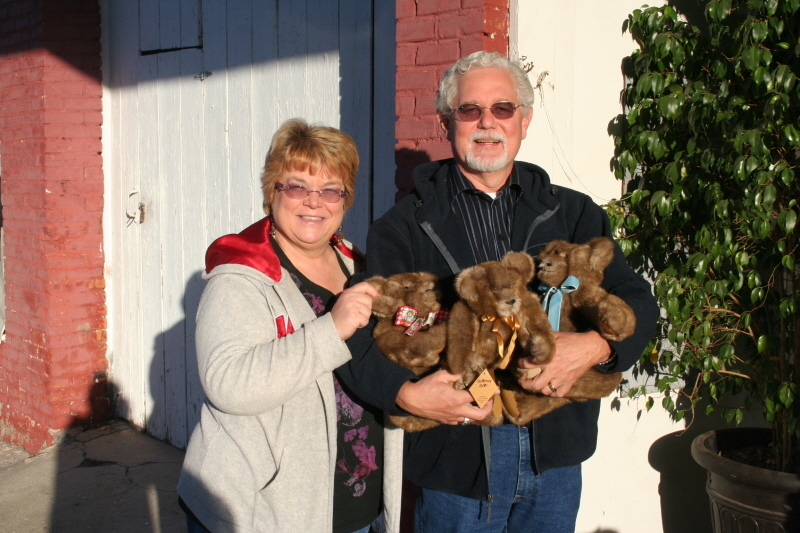 Prices starting at $175 per bear. March 2019. 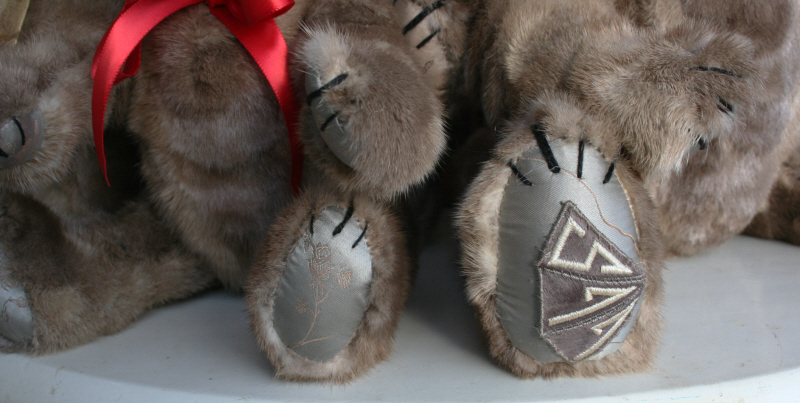 Three bear order, 1-16”, 2-12” made from a great vintage sealskin coat. 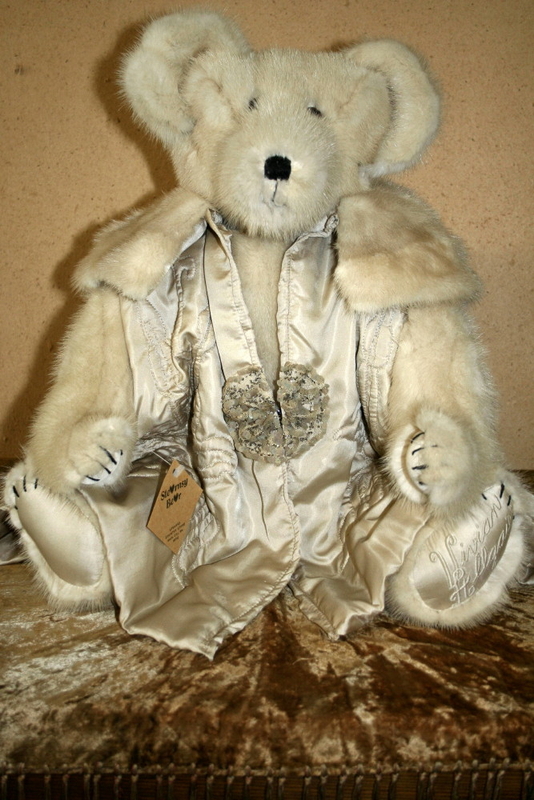 Marylou sent us her kneelength vintage fur coat. 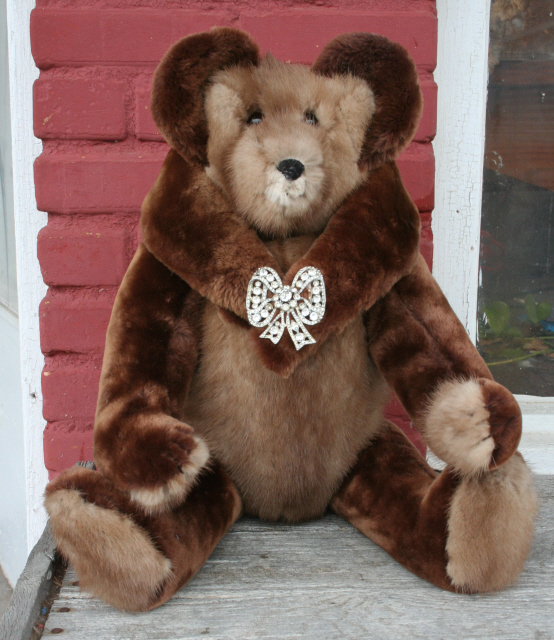 We made a wonderfull, at least we think it is wonderful, 12" bear. Then Vicky got 5 15x15 pieces from what was left. So, what we also made for her is one 15x15 pillow that is fur on both sides. Then the other three are fur as one side and the coat lining as the other. And on she sewed a mongram letter on each of the those. One of them also has the original coat label as well. she also added some small tassels as an extra touch. We think they're really cool. For Connie, 2018, 3 pictures. 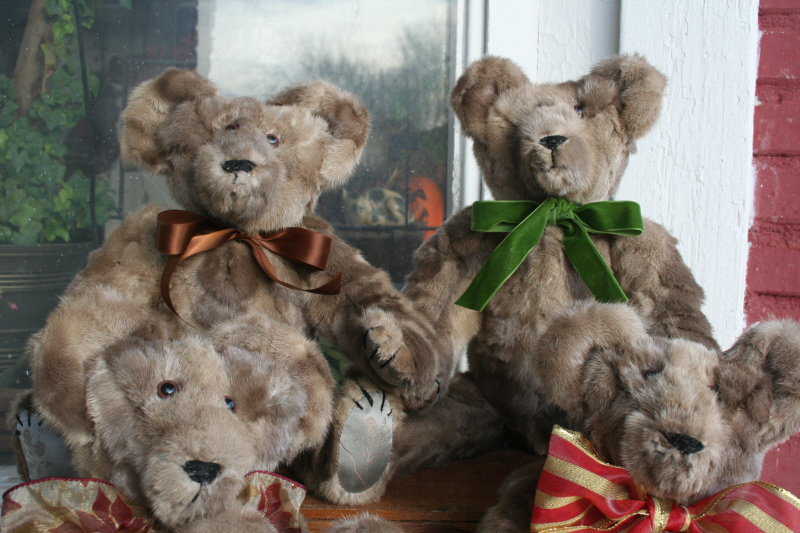 We made thers bears from Connie’s vinatge mink stole. Then she dressed them herself them in these wonderful old family pieces. 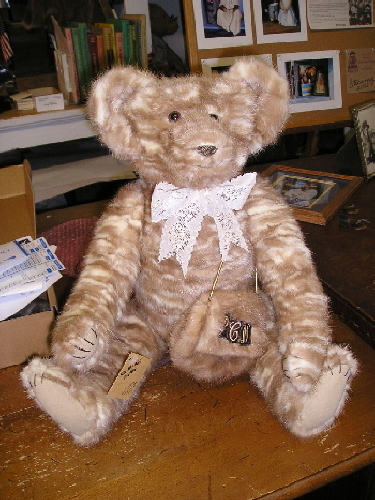 A bear we made for Gil. The got this note from his daughter. I'm Gil's daughter and I received this wonderful gift last night on Christmas eve! Very VERY special gift! Beautiful ...to say the least! Not a dry eye in the room! Miss my mom everyday! I swear it still smells like her! This is the best Christmas gift EVER! Thank you for making her for my wonderful dad! Absolutely beautiful! For Earl. 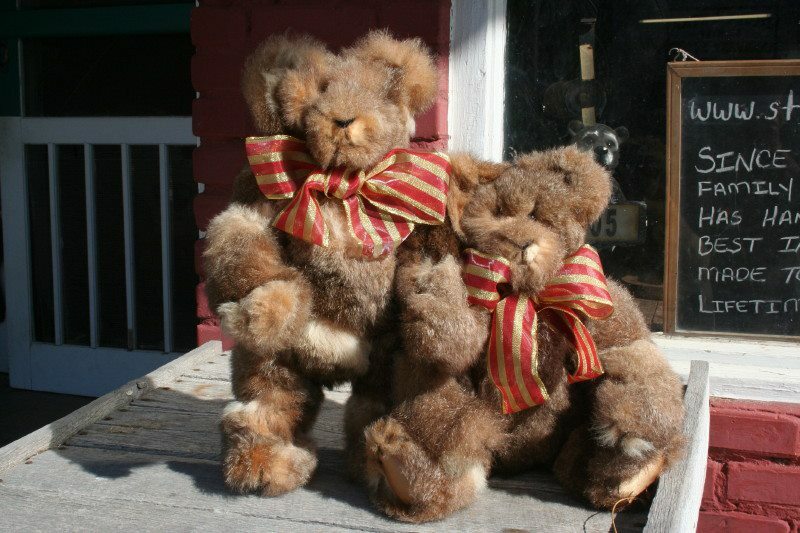 5 16” tall bears made from one vintage fur coat. 2 pictures. The family. 2011, 6 pictures. 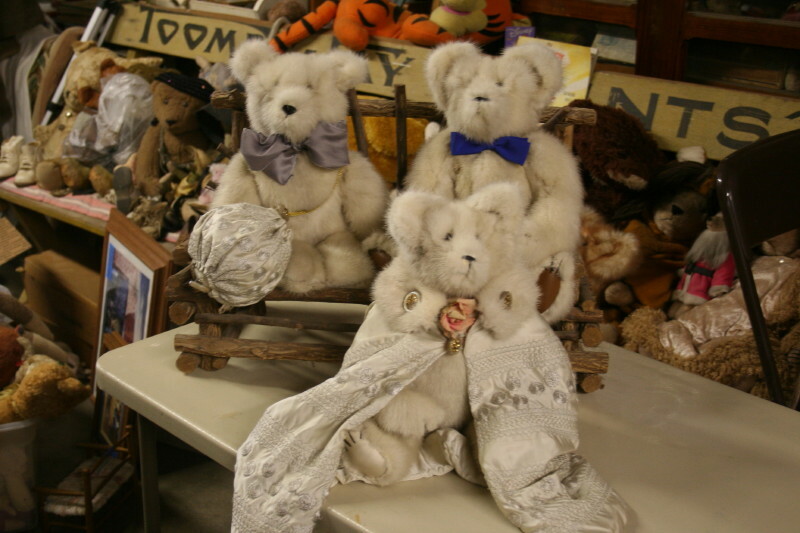 3 bears for Lilly. 2011.